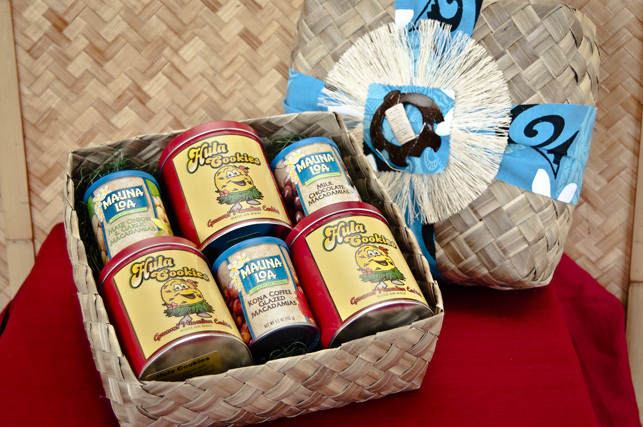 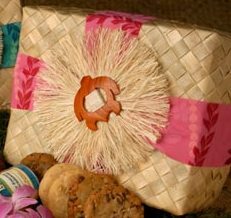 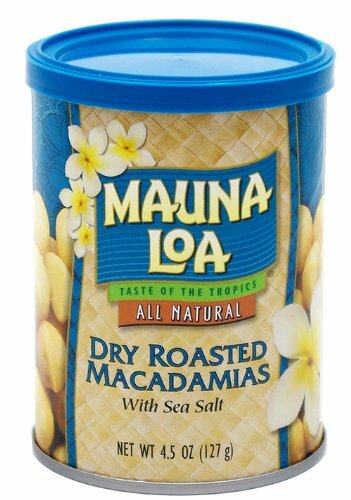 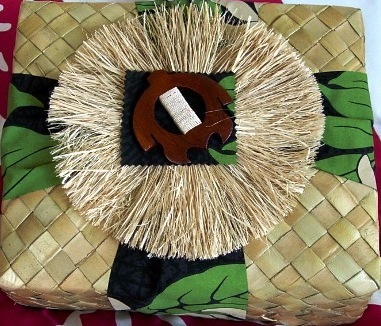 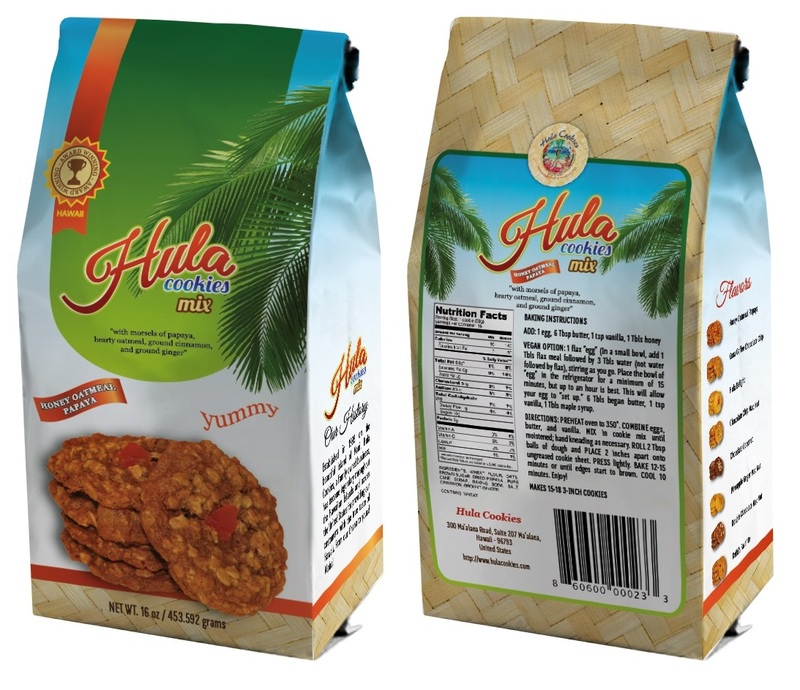 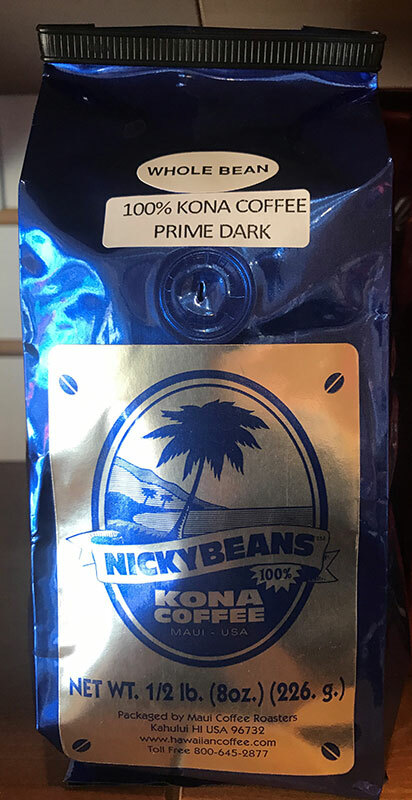 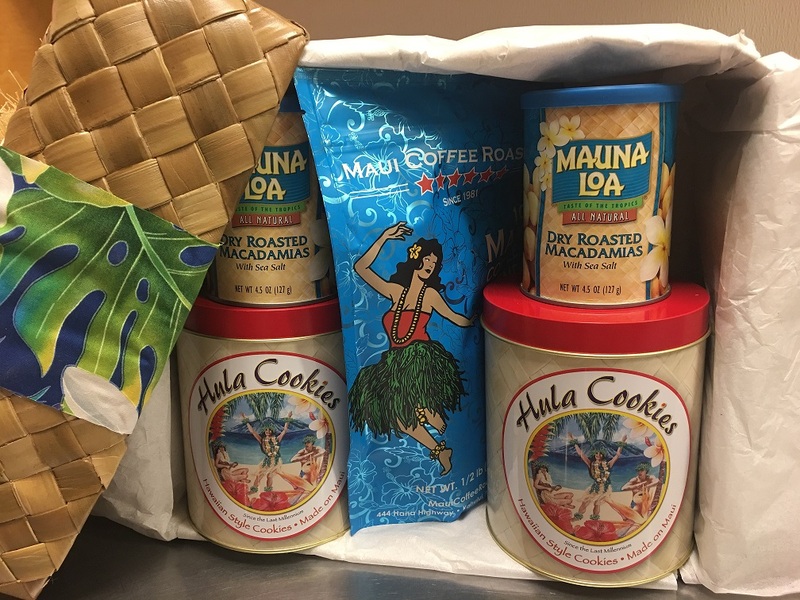 One of our handmade lauhala gift baskets filled with 1/2 pound of our Kauai grown Hula Pie coffee – a rich taste with a subtle hint of fudge and macadamia nuts. 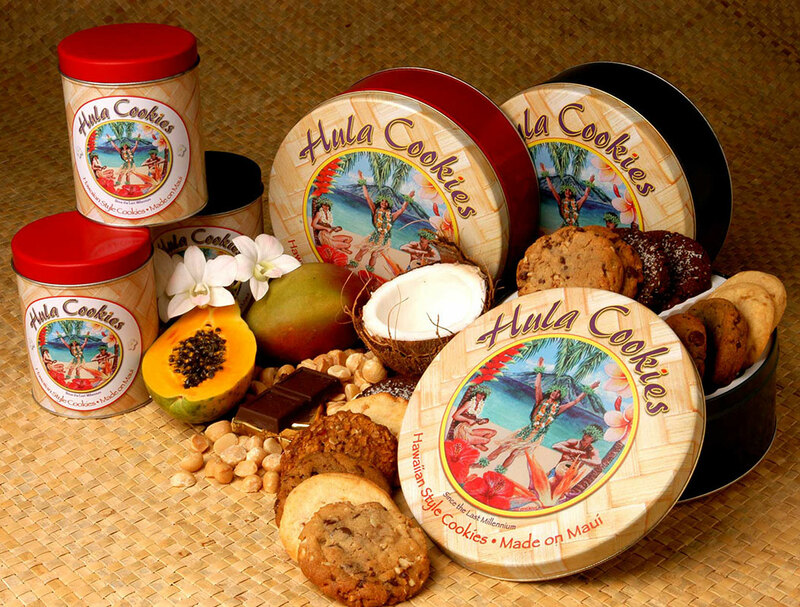 A tin of our award winning gourmet cookies. 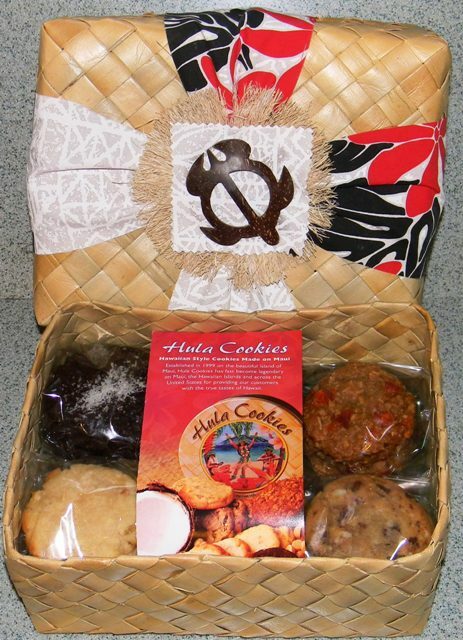 Two each of Chocolate Coconut, Double Chocolate Mac Nut, and Chocolate Chip. 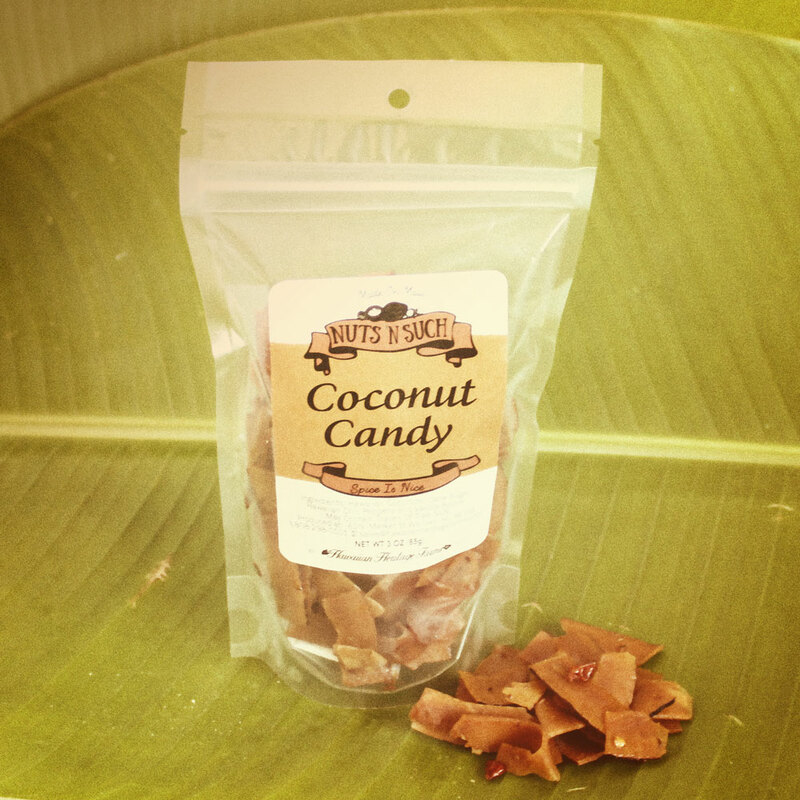 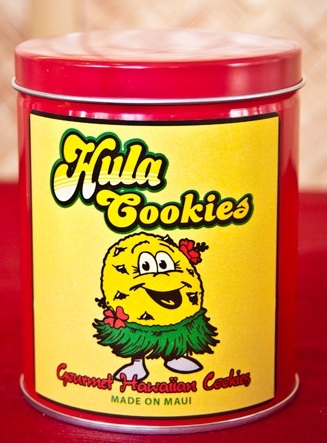 Plus Three assorted world famous WowWee Maui candy bars! 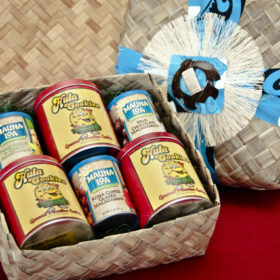 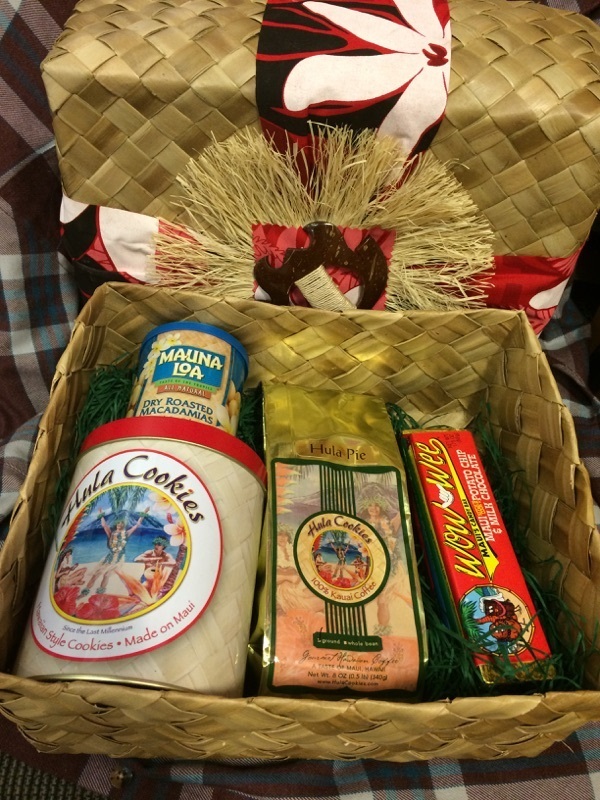 One of our handmade lauhala gift baskets filled with 1/2 pound of our Maui blend coffee plus A tin of our award winning gourmet cookies. 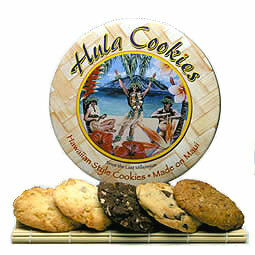 Two each of Chocolate Coconut, Double Chocolate Mac Nut, and Chocolate Chip. 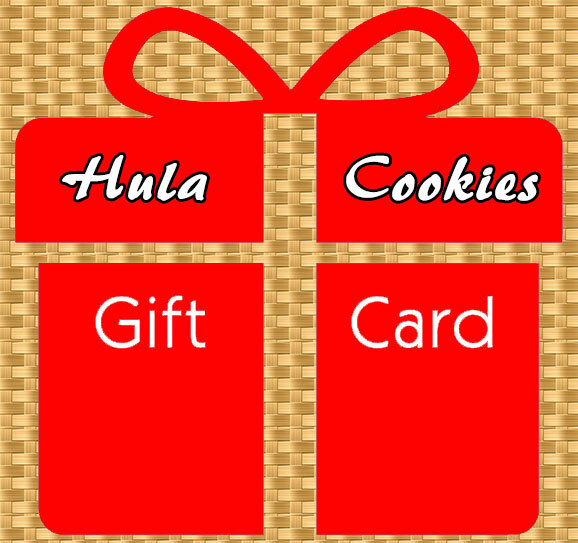 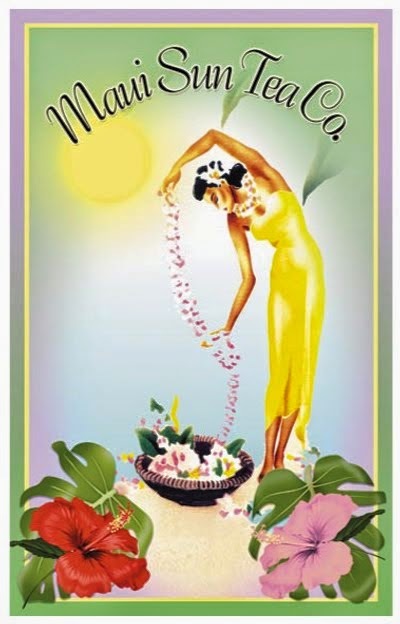 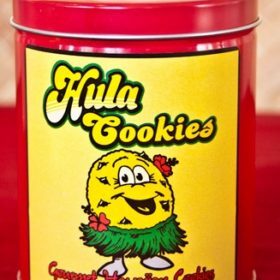 Plus Three assorted world famous WowWee Maui candy bars!